ZURICH (Combined Sources)–President Serzh Sarkisian signaled further progress towards the resolution of the Nagorno-Karabakh conflict after holding talks with his Azerbaijani counterpart Ilham Aliyev in Zurich on Wednesday. The talks began in the presence of the Armenian and Azerbaijani foreign ministers and the American, French and Russian diplomats co-chairing the OSCE Minsk Group. According to Sarkisian’s office, the two presidents then spoke one-on-one for an hour before being again joined by their top diplomats and the mediators. They made no public statement after the meeting. Both presidents left for Davos immediately after their talks to participate in the World Economic Forum. “The Armenian side assessed the results of the Zurich meeting as constructive and positive,” the office said in a statement. It said Aliyev and Sarkisian instructed their foreign ministers, who met in the Swiss city on Tuesday, to continue the negotiating process. It was also agreed that the Minsk Group co-chairs will again visit Baku and Yerevan soon in an attempt to help the conflicting parties overcome their remaining disagreemen’s on the basic principles of a Karabakh settlement proposed by the mediators, added the statement. The mediators already toured the conflict zone last week. They said they hope to broker a framework peace accord on Karabakh in the first half of this year. This is the third meeting between the two leaders since Sarkisian became president early last year. Aliyev’s office and Azerbaijani diplomats did not immediately comment on the Zurich talks. The meeting comes a day after reports indicating a cease-fire violation along the Armenian-Azerbaijani line of contact east of Nagorno-Karabakh. The shooting, which broke out near the Armenian town of Aghdam, resulted in three deaths and several injuries. 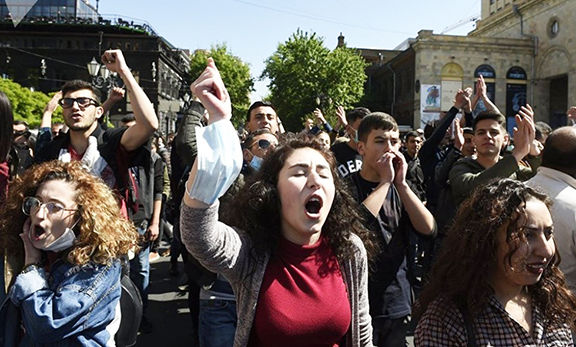 Armenian-Azerbaijani skirmishes have been a regular occurrence ever since a Russian-mediated truce stopped the bloody conflict in Karabakh in 1994. Dozens of soldiers on both sides are reportedly killed in such incidents every year. Ceasefire violations appear to have become more frequent last year prompting serious concern from foreign powers seeking to broker a peaceful solution to the Karabakh conflict. In a joint statement issued in early December, top diplomats from the United States, Russia and France called on the conflicting parties to bolster the ceasefire regime by pulling back snipers from their frontline positions.